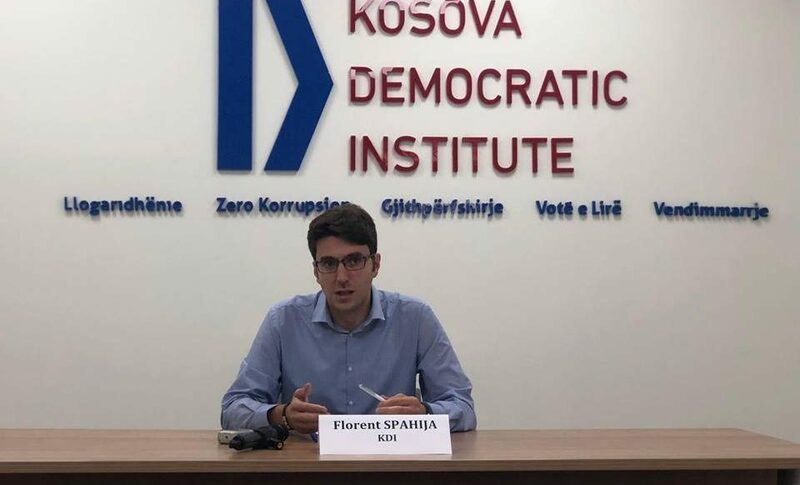 Kosova Democratic Institute (KDI), has held a media conference where it presented recommendations related to employee’s rights in the private sector and dangers that these employees are faced. Florent Spahija from KDI has emphasized that every month in Kosovo there are new death cases reported about employees from the high construction sector. Discussing about factors that have an effect on the number of deaths in the work place he noted that they are diverse, but the similarity of these factors is: the lack of safety in the work place, the carelessness of the employer on offering labor conditions and the negligence of Labor Inspectorate on preventing and monitoring these cases. When efforts for securing safety in the work place are made, citizens are faced with injustices and violations. -Parliament of Kosovo in cooperation with Employment Agency, Ministry of Labor and social welfare and Labor Inspectorate should work together to complement the national legislation with European Union legislation. – Parliament of Kosovo and Government of Kosovo/Ministry of Labor and social welfare through the annual budget should initiate the increase of inspectors in the Labor Inspectorate and their wages. Labor Inspectorate should continue with awareness raising campaigns for employee’s right and the possible violations by the employers. -Labor Inspectorate should provide opportunities to submit anonymous complaints and the same complaints to be reviewed. -Labor Inspectorate should increase transparency by making public all their decisions on their official web page. -Ministry of Labor and social welfare with the help of Economic Chambers should create a mechanism that obliges private companies to have their workers organized in a union or such. -Government of Kosovo together with employees’ unions but also the private sector should compile the collective agreement and to sign it. -Kosovo Judiciary should respect the legal schedules and the work relation cases should be prioritized and finished with efficiency.